Rachel Paz is a relationship-readiness coach for independent women who want companionship and intimacy without giving up lives they love. She’s also an optimistic, truth-telling, single mama, Bikram-yoga-addict, simple-living, health-minded, tequila-drinking, connection and flow junkie. Two years ago, my special-needs son was involved in an incident at school that made his father and me seriously question the school’s capability of keeping him safe. We chose to pull him from school, and without anywhere else to put him (due to the immediate impact of the incident), I kept him home with me for eight months. I couldn’t work or do much of anything other than parent him and manage his behavioral therapy program. 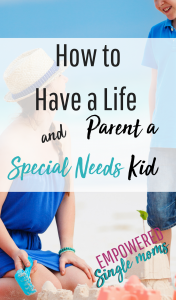 At the time, it felt like my biggest nightmare because, well, parenting a kid with special needs is hard…and we cranked it up a few notches. I was clear about the mother I wanted to show up as, so I felt I had no choice but to call in my community and ask for help. I literally asked people to pay my bills for six months. It was the first time in my life that I’d ever asked for help in that way, and it was scary as hell. The best lesson I learned was that if you are honestly doing what is right for you and you are 100% right with it, people will come out of the woodwork to support you. I received the most beautiful gifts of friendship and support during that time in my life. I also learned that the thing you resist will continue to test you until you stop resisting it. I have always identified strongly with having a sense of purpose in my life (though I didn’t know what it was). Up until this period in my life, I had always thought that my purpose was something big in the world–big impact, lots of people, lots of change–and I viewed my son as if he were getting in the way of my pursuit of purpose. This experience gave me the opportunity to look at him as if being his mother was my purpose. When I stopped resisting the idea that my purpose existed separately from parenting him, I was able to see how my work in the world and parenting him are all part of the same purpose. I can’t have one without the other. As I mentioned, I asked for help. And I learned to receive it. I chose to be vulnerable so people could truly understand what we were going through and support us as well. I also enlisted a team. There were therapists, a coach, a lawyer, friends, and family. I could not have navigated this on my own. Instead of becoming a martyr for my son and completely sacrificing my whole life for him, I looked for ways to do things I enjoyed while I was with him. I spent hours every day in our garden while he played outside. I did the things that made me feel good–yoga, dating, meditation, etc.–when I wasn’t with him. I also found a way to laugh. You know when things are so messed up that it’s funny? Well, I let my sick sense of humor develop into an even sicker one. Every day, I found ways to laugh at the hard stuff. I’m a relationship-readiness coach for independent women at rachelpaz.com. I work with women who enjoy the single life after divorce or leaving significant relationships. I help them figure out how to continue to be strong, solid women and have relationships. Everyone deserves love, and everyone deserves exactly the life they want to have. My mission in life is to love people and love myself. I get to do this with my work in two ways. First, I get to be an example for my clients. I show them what it means to live the life you want and have the relationships you want, even when everything seems impossible. I can’t teach people to do it if I’m not doing it myself, so I practice. A lot. The second way my work fulfills my mission is that I get to show women how to love all the parts of themselves and I get to shower them with love while I do it. Then, they start to live their lives with more love and the chain continues. Oh man, yes! A couple of times. 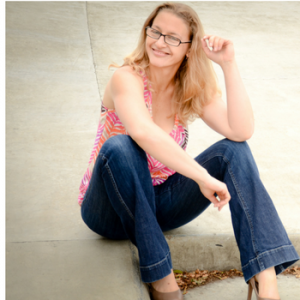 When I got divorced, I was a marketing consultant and my husband mostly stayed home. In my new circumstances, I wasn’t willing to continue to work that number of hours and have an uncertain income. I turned my consulting into a part-time gig and went to work full time for a business consulting and accounting firm. I literally worked just about every minute that I wasn’t with my child. And then I just couldn’t anymore. After a few of years of that and a diagnosis for my son (which partially explained why life had felt so hard), I ditched everything. I quit my job without knowing what would come next and just trusted that it would all work out. After a handful of experiences and a short time later, I started down the path of becoming a coach. Trust that it is all happening for you. I didn’t choose my divorce, but now I can confidently say it is one of the best things to ever happen to me. It is coming to you so that you can find your way, even if you don’t know what that is now, and it is necessary for you to become who you are to become. Feel it, grieve it, and let it go. Oh, and say no to everything that isn’t about your daily functioning and survival. This is hard, and you shouldn’t have to pretend that it’s not. I read this a while back, but Glennon Doyle Melton’s Love Warrior: A Memoir is incredible. Talk about going through what she needed to in order to become the woman she was supposed to become! I saw so much of myself in her writing, and I imagine most women would as well. I love it because it points to what it means to not be victimized by your choices. It says that full commitment is required in order to experience the full potential of any given situation. 9. What question do you wish I would have asked and what is the answer? I actually don’t. A couple of years ago, I shifted from trying to do more to being more. Everything in my life has changed since then–mostly by releasing myself from the need to do it all. It kind of kills me when I see women forfeiting their lives to tackle a giant to-do list. That’s not what life is about. You don’t have to do more. You just have to be. Read more of Rachel’s thoughts here, and check out her free guide, Never Settle Again: 7 Everyday Behaviors Setting You Up To Fail here. Previous Post: « Do You Know How to Have a Fun & Cheap Single Parent Holiday?